Who can say no to Nutella and S’mores… and neither do I. Their wonderful combination will make you wanting more! Easy to make… just mix and bake this Nutella S’mores Bundt Cake! The husband is currently into home construction craze. He is at a point where I’m about to post an ad to advertise his skills. There’s no day where he doesn’t learn new stuffs on YouTube, and no week passes without him visiting Home Depot or Lowe’s. It’s totally his playground these days. Last week, in between helping the hubby with painting our dining room, building crown molding, and cleaning up our backyard, I managed to squeeze in some time to work on this recipe. Nutella and S’mores have been my BFFs since ages ago. First, it was Nutella. I’m a chocolate gal so I do take anything with chocolate, and Nutella is always on my top list. And S’mores? We all need S’mores in life, don’t you think? This bundt cake is surprisingly super easy to make. All you need is mix all the ingredients in a bowl and bake it. In short, mix it and leave it in the oven. And you don’t need to worry about cracks on top – although this cake doesn’t have any cracks – because you will cover the top with marshmallow frosting. 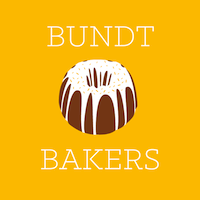 Have you heard about bundt squared pan from Nordic Ware? I just love the texture and I’m breaking away from regular round bundt pan. So I’ve been using my bundt squared pan… a lot! There is nothing better than a good cake to start the day! Nutella S’mores Bundt Cake will become your new favorite go-to cake! Combine all the ingredients for the cake in a bowl and mix well. Transfer to a bundt pan and bake for 40-45 minutes or until a toothpick inserted in the center comes out clean. Let it cool for 30 minutes. To decorate: drizzle the cake with marshmallow frosting using a piping bag. Add Nutella and graham crackers crust on top. Fantastic! And any cake with Nutella has to be a good one. Nutella must really add a great flavor to this beautiful cake! Love your bundt pan and that marshmallow fluffy glaze – yumm!! Wow Linda this looks amazing!!!! I LOVE Nutella and I am ALWAYS looking for uses for it aside from on toast 🙂 Thanks for posting this! It´s so beautiful! and I love the pan!! great minds…I love Nutella and the shape of your bundt. kudos! I am loving the square bundt pan….I may have to put that on my wish list for Santa Claus. OK I pretty much NEED that Bundt cake pan – love it! And this yummy cake, too! My FAVORITE kind of bundt cake to make: all in one bowl! And props to your hubby, hehe–at least he’s being productive around the house! Your Bundt is magnificent even without frosting, but I have to say all those layers of icing make it a show stopper! Thanks, Liz. I was having fun…or had too much fun with it and surprised with the result as well. I like this square pan that’s popping up! Nutella and s’mores are a perfect marriage. I’m a chocolate fan too, I can never resist it. This cake looks fantastic! I am loving that square cake pan..I am off to go look for it! I LOVE the square Bundt pan and your cake looks absolutely stunning!! I mean, I want a piece, a huge piece. That Nutella flavour… yum! I love your bundt mold! This looks wonderful ^_^ You did a fine job with that topping! Thanks, Tammy. I love squared bundt pan, too. Nordicware has amazing bundt pan selections. What a gorgeous cake! I love that pan! !